If you are looking for a mirrorless digital camera with traditional mechanical controls, you are most probably considering about getting Fujifilm X100 right now. 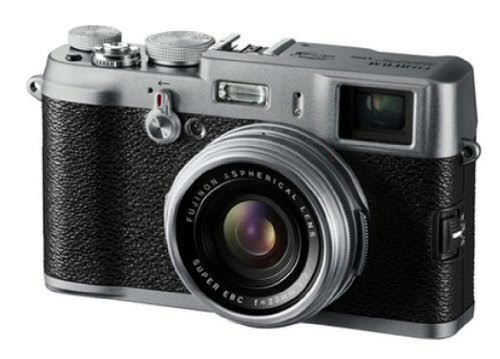 Fujifilm X100 is one hot item on the market at the moment. Even though it was initially quite an expensive product when it was first released, it is now available in a much lower price range. You can get it at a relatively affordable price point, especially if you buy it online via Amazon. Fujifilm X100 comes with some nice and attractive features, most notably the high-performance 23mm F2 Fujinon Lens and the hybrid viewfinder. So, should you go and get Fujifilm X100? Get to know more about this camera by continue reading below! Fujifilm X100 comes with a traditional appearance. If you prefer the classical looks of a camera rather than those ultra-slim hard-to-grip models, then this is good. Fujifilm X100 comes with a metallic housing that is rugged and durable, ready for heavy-duty use. Most of the surface is well textured, ensuring that you have a solid grip on the camera that does not slip. Along with the traditional design, you will also find mechanical controls with manual dials. All of these certainly feel very familiar if you already have some experiences with older DSLR models, except that Fujifilm X100 is more compact and more lightweight than them. Unfortunately, there is no touchscreen control yet on this model. Fujifilm X100 primarily boasts the hybrid viewfinder system that it comes with. The hybrid viewfinder is a very useful feature for a mirrorless camera. This makes a great value, considering that there are only few mirrorless cameras that provide an optical or hybrid viewfinder. The hybrid viewfinder of Fujifilm X100 combines the window-type optical viewfinder with the electronic viewfinder for maximum flexibility and versatility. You can adapt easily to different environments and conditions using the hybrid viewfinder. Fujifilm X100 also comes with a newly developed Fujinon Lens with 23 mm focal length (equivalent: 35 mm) and a widest aperture of F/2.0. The lens is made from molded glass, featuring 8 elements that are arranged into 6 groups. In general, the lens has great performance. It is powerful and effective. However, there is a chance that you are going to build a love-hate relationship with the lens because it has a very dramatic lens flare that is difficult to control, especially at night and in a dark environment. The 12,800 maximum extended ISO and 1/4000s maximum shutter speed are great and respectable. They give a wide range of control and creativity. The AF has 49 focus points, and is fast and reliable. There are manual focusing, manual exposure, and AE bracketing. There is also a built-in ND filter that you can turn on or off as needed, very useful for visual effects on creative shots. Fujifilm X100 is powered by a 12.3 MP APS-C CMOS sensor, which performs an exceptional job in capturing sharp, detailed images. The colors are full and accurate, with nice dynamic range. The camera can record videos in a maximum quality of 1280 x 720 HD resolution. All in all, Fujifilm X100 is a great camera for the money, but you should consider if you can go around its sometimes difficult nature and benefit from the offered features. Check the best price of Fujifilm X100 here!